Get Your Choreography Right Here! Emmy Award nominated choreographer, Jeffrey L Page, offers an energetic fusion of traditional African Dance, hip-hop, funk and soul. Page's intricate movements have been featured on Fox's So You Think You Can Dance, Beyonce's Tour - The Beyonce Experience, MTV's Video Music Awards, the BET Awards, the World Music Awards, and to name a few. A talented dancer in his own right, Jeffrey L Page is also a trained actor, director, and musician. To each job, Page brings a wealth of dance, theatre, and film knowledge. Choreographer for Beyonce Knowles (The Beyonce Experience Tour, MTV Video Music Awards, Fashion Rocks, and the World Music Awards); R. Kelly, Will Smith, Jada Pinkett Smith, and the Oprah Winfrey Show finale. 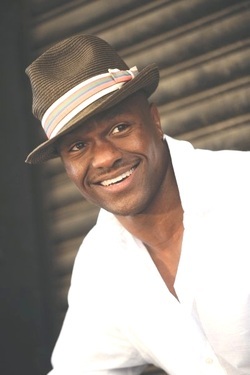 Instructor/Consultant for Cirque du Soleil, Alvin Ailey, Cleo Parker Robinson Dance, University of California, Los Angeles, and Long Beach Ballet. Performer in Fela! the hit Broadway Musical.